You’re reading the Benton Foundation’s Weekly Digest, a recap of the biggest (or most overlooked) telecommunications stories of the week. The digest is delivered via e-mail each Friday. Significant broadband policy continues to take shape: the Save the Internet Act advanced to the full House Committee on Energy & Commerce, the Federal Trade Commission launched a study into the privacy practices of internet service providers, and the Federal Communications Commission circulated a proposal to cap the Universal Service Fund. We take a look at what you may have missed this week. On March 26, the House Communications Subcommittee voted 18-11 along party lines to refer the Save the Internet Act (HR 1644) to the full House Commerce Committee. As we have covered, the legislation would restore the strong, court-approved net neutrality rules first adopted by the FCC in 2015 but subsequently repealed in 2017. The debate at the markup session reiterated the partisan divide on the issue. Subcommittee Chairman Mike Doyle (D-PA) opened the hearing saying, "I have encouraged my colleagues on the other side of the aisle to seriously consider this legislation, and I’m hopeful they will, this bill is a new approach, and an open invitation to our colleagues and [internet service providers (ISPs)] alike to come together and support a new way forward." This committee is known for its bipartisanship. At our recent hearing, I urged my colleagues to reach out to me if they were interested in working together. And I’m disheartened that neither I nor my staff have had any outreach from any of my colleagues on the other side asking to discuss this legislation, any potential amendments, or any other related legislation. However, my door remains open if members wish to discuss changes to the bill between now and full committee markup. 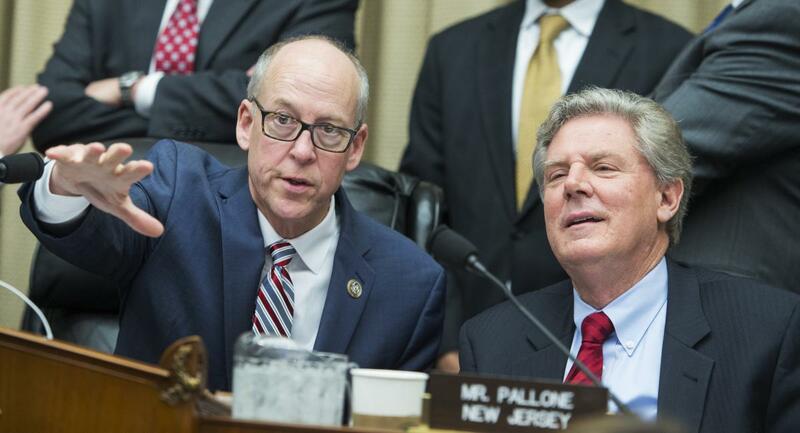 Full Commerce Committee Chairman Frank Pallone, Jr. (D-NJ) was more direct: "Failure to move forward on this legislation is simply not an option. Without this legislation, there is no backstop to make sure big corporations don’t use their power to undermine and silence their small competitors or the political opposition." Much of the partisan divide boils down to something called “Title II.” Prior to 2002, broadband internet access service was provided mainly by traditional telephone companies over a digital subscriber line (DSL) and was regulated like telephone service under Title II of the Communications Act of 1934. But in a 2002 Declaratory Ruling, the FCC classified cable modem service as an interstate information service under Title I of the Communications Act. An information service is “the offering of a capability for generating, acquiring, storing, transforming, processing, retrieving, utilizing, or making available information via telecommunications, and includes electronic publishing, but does not include any use of any such capability for the management, control, or operation of a telecommunications system or the management of a telecommunications service.” The 2015 FCC net neutrality rules were rooted in Title II authority, deeming broadband internet access service to be "telecommunications" or "the transmission, between or among points specified by the user, of information of the user's choosing, without change in the form or content of the information as sent and received." Subcommittee Ranking Member Bob Latta (R-OH) called returning to Title II "dangerous and wrong" and called the Save the Internet Act a partisan foray and a missed opportunity. House Commerce Committee Ranking Member Greg Walden (R-OR) agreed. “[N]et neutrality is not Title II," he said. "Net neutrality does not need the harmful, heavy-handed approach of Title II." This legislation does not ensure a free an open internet, instead, it discards twenty years of bipartisan consensus and paves the way for a heavily regulated internet. Meanwhile, Republicans have offered a sincere menu of options that build on key principles of a permanent solution, legislation that addresses blocking, throttling, and paid prioritization …. Democrats continue to push forward with a purely partisan approach that could provide the federal government near unlimited and unchecked authority to regulate the internet, from decisions over content, to levying taxes and fees for internet access. An amendment from Ranking Member Walden would have provided an exemption for small ISPs from the enhanced transparency requirements that the bill would restore. But Walden withdrew the amendment after getting an assurance from Subcommittee Chairman Doyle and others that they would work with him to find some middle ground on the issue before full committee markup. The Democrats support some kind of relief for smaller operators, but how much and for how long remain issues. Last week, Federal Trade Commission Chairman Joe Simons disclosed to senators that the FTC is planning to launch a wide-ranging study of tech companies’ data practices, in addition to the agency’s investigation of Facebook. On Tuesday, the FTC launched that study, issuing orders to seven ISPs and related entities seeking information the agency will use to examine how broadband companies collect, retain, use, and disclose information about consumers and their devices. The orders were sent to AT&T, AT&T Mobility, Comcast/Xfinity, Google Fiber, T-Mobile, Verizon, and Verizon Wireless. The FTC says it is initiating this study to better understand Internet service providers’ privacy practices in light of the evolution of telecommunications companies into vertically integrated platforms that also provide advertising-supported content. By issuing the “Section 6(b) study,” the FTC could force tech companies to share closely held corporate secrets about inner workings that the companies have long resisted disclosing. The FTC has given the companies up to 45 days to hand over the requested information. On March 26, 2019, FCC Chairman Ajit Pai circulated an item that would for the first time consider imposing an overall cap on Universal Service Fund (USF). USF programs provide subsidies that make telecommunications and broadband services more available and affordable for millions of Americans. But you can count in Senator Ed Markey (D-MA) as well as FCC Commissioners Jessica Rosenworcel and Geoffrey Starks as critics of the proposal. “Any effort that could harm classroom learning, broadband deployment, rural health opportunities, or connecting more individuals should be shelved and never considered again,” Sen. Markey said. Commissioner Starks said, "How can we talk about capping our Universal Service programs at a time when the Commission doesn’t seem to have a good handle on who currently has broadband and who does not?" USF budget reductions or caps could stall and stifle America’s internet opportunity. They would undercut critical efforts to close the digital divide, efforts meant to ensure that every American can take advantage of the transformative opportunities that broadband can deliver. Capping internet opportunity is not the right answer. Rather, the FCC should spend its time working to eliminate the bureaucratic barriers that are preventing these programs from getting the most bang for the buck and achieving their maximum potential. We can’t extend broadband’s reach throughout rural America with a USF cap. We can’t solve the homework gap with a USF cap. We can’t ensure that everyone can afford essential voice and broadband service with a USF cap. We can’t bring world-class medical care to rural areas with a USF cap. So why is the FCC talking about a USF cap? It was an interesting week for federal broadband policy. Real progress was made on net neutraltiy legislation. The bill could be debated by the full House Commerce Committee perhaps as soon as April or May. We also might get a lot more information from ISPs about their privacy practices. And, the FCC item on USF could be adopted as soon as all the Commissioners vote on it. To stay on top of all of these developments, be sure to subscribe to Headlines.